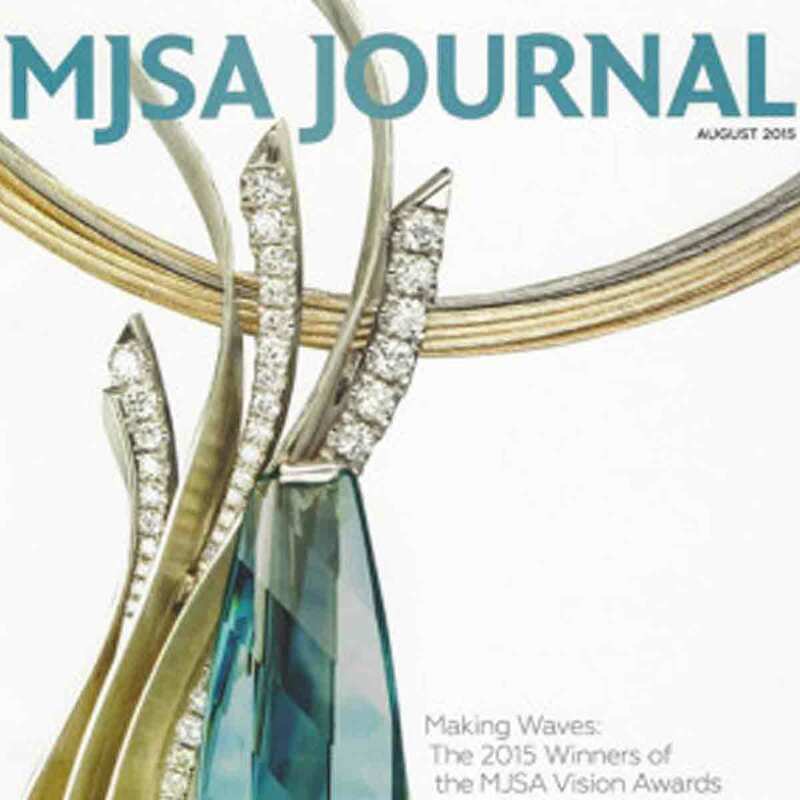 At the 2015 MJSA Vision Awards, the Manufacturers and Jewelry Suppliers of America (MJSA) recognized Adam Neeley with two honors: First Place for Professional Design Excellence, and for Laser Distinction for his pendant entitled “Oceana”. This pendant showcases a 2014 AGTA award–winning 32.86 carat aquamarine cut by Stephen Avery. The gold in this piece is a signature style that Adam calls SpectraGold™ which transitions seamlessly and gradually through seven shades, from rich yellow to cool white. 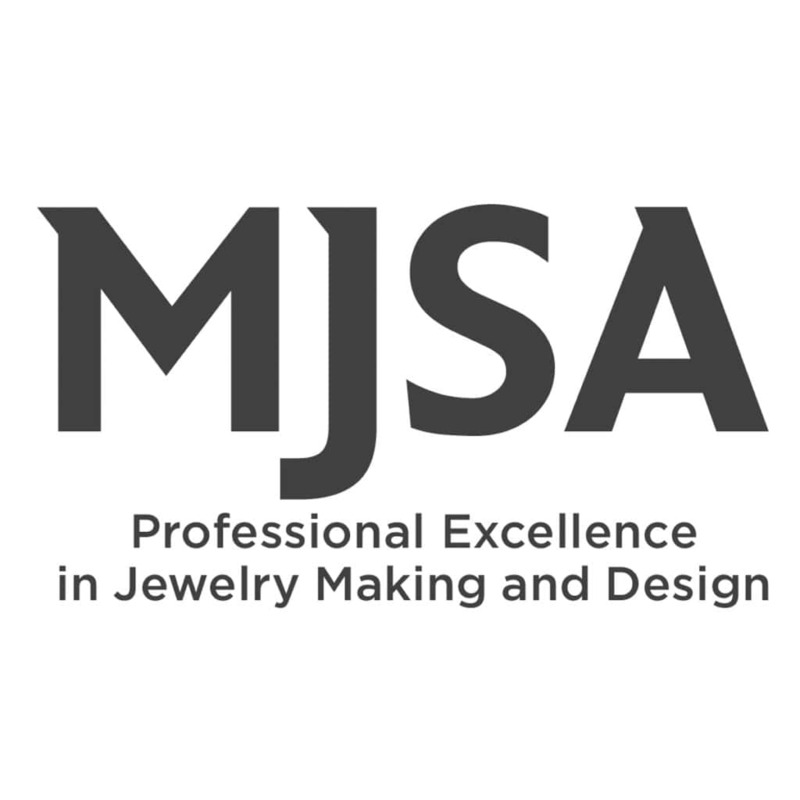 The pendant’s form is the result of hand forging and shaping curved layers of gold, then laser-welding them together. To protect the hardness and finish of SpectraGold™, torch assembly was not an option; laser welding was absolutely necessary. 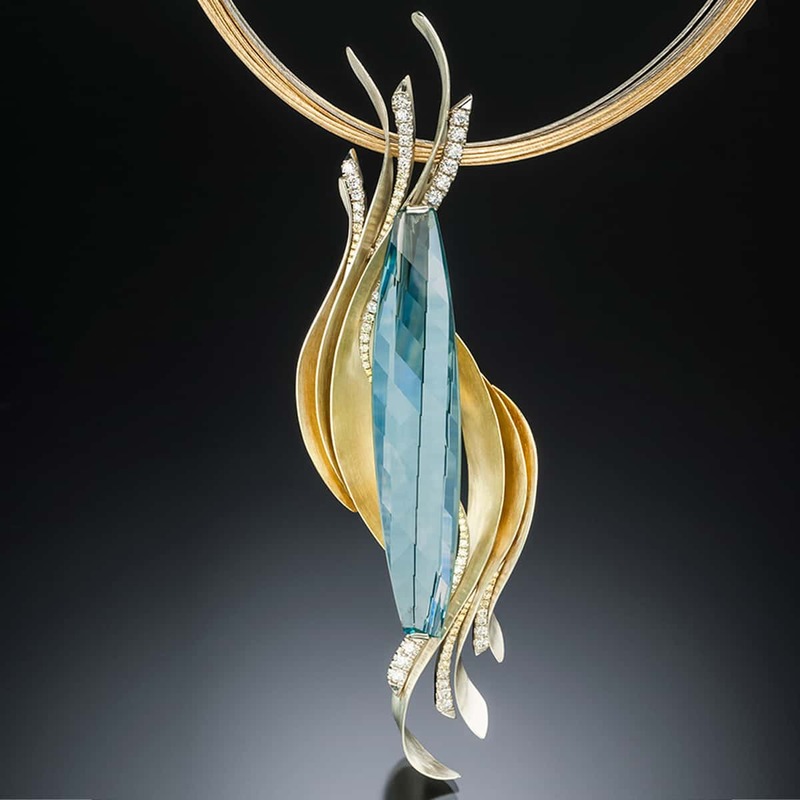 The laser welder was also instrumental in fixing the already-set aquamarine to the center of the pendant. The diamond sections feature a fade of diamonds, from canary to white, pavé set in 14 karat white gold.